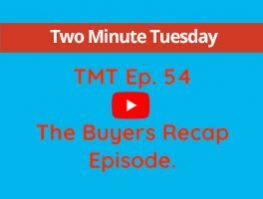 In this weeks episode of Two Minute Tuesday we give a few pointers to clients whose property is taking longer than they anticipated to sell. Some of the points you may know and some you certainly will not….. whichever it will not do any harm to sit back watch the video and reassess the situation regarding the sale of your home. If you are looking to sell your property at the moment, there is no better time than now. The expected exodus of UK clients has not happened, in fact the opposite is proving to be the case as more Brits are exiting from the Uk than ever before. We have many clients looking for properties and not a huge amount to show them. So please give us a call on +34 663797187 or email info@HondonValleyHomes.com for a free impartial and no obligation valuation.